Located in Hamilton Ontario, Saint James Provides excellent Dining, Coffee and Service. Opening Saint James had to do with us wanting to be a part of what was happening in our great city of Hamilton that we love. Most importantly we wanted to give you all what you deserve…great food, great coffee and a great atmosphere with staff that have a sense of urgency and quality. It's happening in a lot of great businesses in our city and it has people stopping, taking a look, and starting to talk. We have spent years honing our craft in our respective areas of service, and all that while we knew we’d get the chance to do what we love. a touch of hot filtered water and a double shot. This creates a nice robust coffee taste. 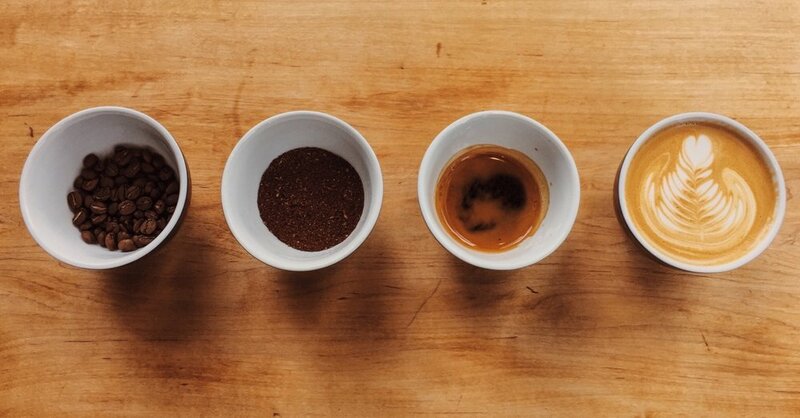 The espresso shot is pulled atop the hot water to ensure the consistency of the crema. double shot espresso with a touch of milk foam. Macchiato means spotted or stained; the espresso is “stained” with foam. double shot espresso mixed with an equal amount of warm milk to reduce the acidity. More importantly, the milk in a cortado is generally not frothy or foamy, but denser. Japan -twig & sencha leaves mix. Kenya - Rich and silky. Strong yet accessible. Fairweather Brewing Co. - An American sour ale. Dry-hopped with Citra & Mosaic. A robust wine with honeyed aromas of tropical fruit, citrus and botanicals. It is big and dry like a red wine, but finishes with a refreshing juiciness. in the heritage of hard work. in serving others like we're serving our family. in the seasons, and the bounty they produce. in every meal made from scratch. in quality coffee, perfectly roasted, perfectly made. in a big love for the littlest details. Above all else..we believe in doing all of this..in HAMILTON.